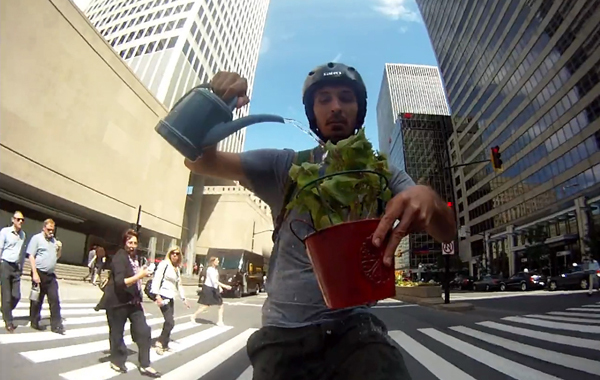 This program features creative short movies from around the world. The fantastic collection includes a wide diversity of film styles. 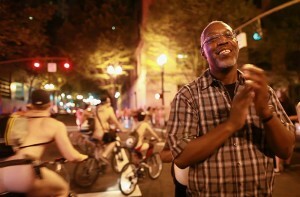 Debuting in this program is “Bare as You Dare”, a richly produced 17 minute documentary on the Portland World Naked Bike Ride, produced by Ian McCluskey and his team from NW Documentary, the beneficiary of Filmed by Bike. FILMMAKER Q+A: Stick around after the Sunday program for a short Q+A session with filmmakers from across the country. 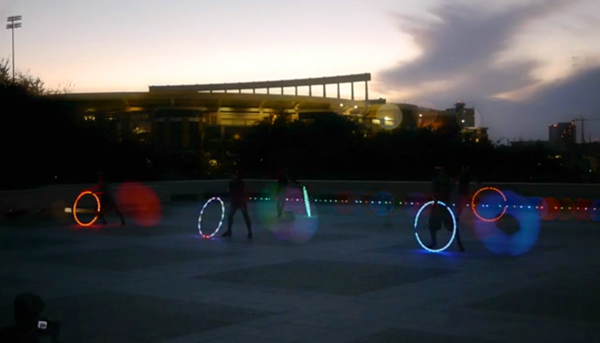 Through this collaboration between Andrea Beckham and Taylor Kirk, 700 bike lights were given away in Austin, Texas following a gorgeous bike-based performance piece. As the light of night changes, the performance becomes even more striking. A fascinating look into the world of young women who ride bikes. The World Naked Ride takes place all over the globe, but the largest event is right here in Portland. In the summer of 2012, the crew of NW Documentary (Filmed by Bike’s beneficiary) trailed along with the ride for a rich glimpse into this wild event through the experience of some (unexpected) participants. A creative ride through the city. A richly artistic bicycle ride. 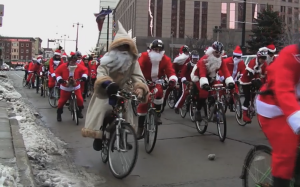 Former Filmed by Bike juror and crowd favorite Mike Vogel returns with this humorous piece. 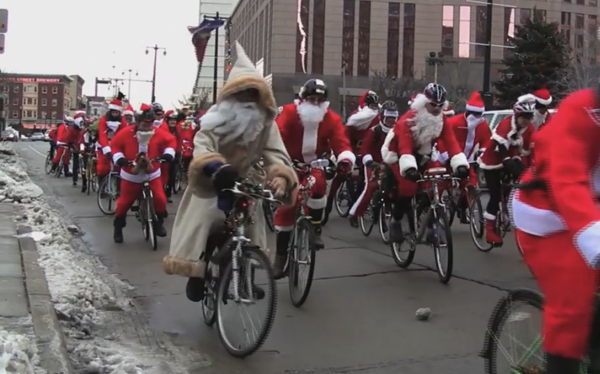 Grab your Santa hand and join in this wild Midwest winter ride.